I am ready for spring weather. 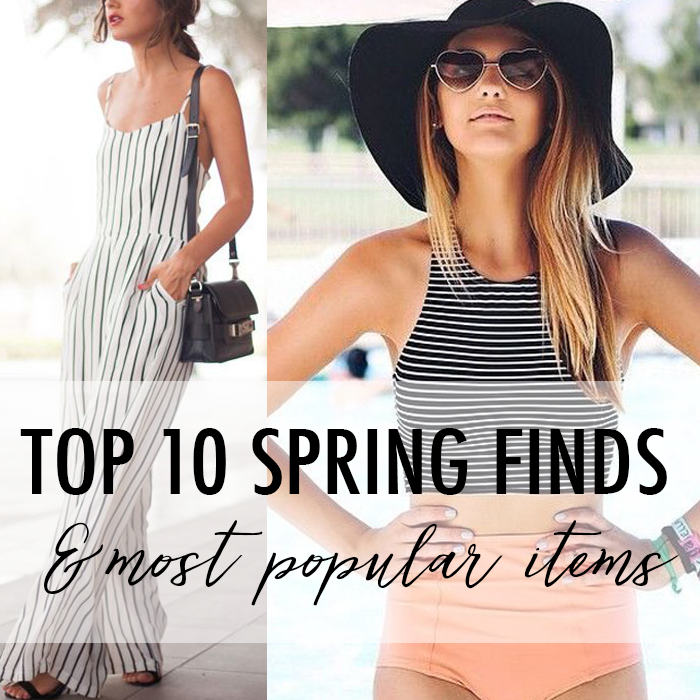 And, if you like that striped suit above - it is only $20! This pretty floral wrap maxi dress is only $55. This draped cardigan is on sale for $10. This is a really cute striped blouse - perfect for work. This classic sweater is on sale for $8. These are fun retro chunky heeled sandals. This soft pink leopard scarf is only $18. These are cute linen shorts for spring/summer. This pink ruffle shoulder sweater is $20 off. This sweater with drawstring sleeves is on sale for $18. This floral wrap skirt is only $25. This camo cardigan is only $25. Several $15 dresses to pick from. This “retro-inspired” striped dress that is under $50. This ribbed sweater that is on sale for only $10. These cute mules that are under $20. That sleeveless blouse is only $18 (and comes in other colors) - outfit details HERE. 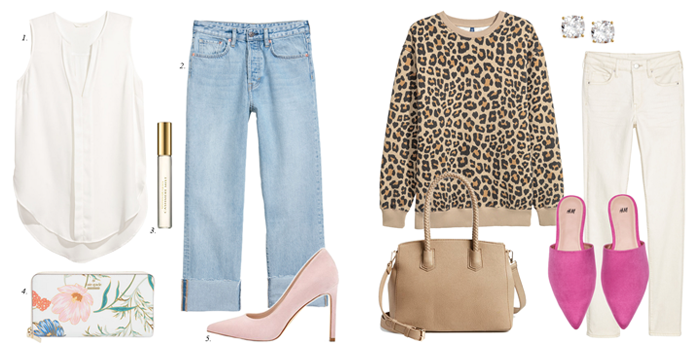 That leopard sweatshirt and pink mules are both only $18 - outfit details HERE. Looking to create easy outfits from your closet - check out my inspiration HERE. Image Source: Left // Right // I am participating in the following link-ups. All great pieces and great prices, wish I could get one of each!